I honestly can’t figure out why I haven’t blogged about this sooner. As happens from time to time, right now there are some screaming deals on scopes at Amazon. The two best are 90mm Maksutov-Cassegrains, a rugged, portable design that has been popular for decades. The first is the Celestron C90 . This scope has been around under the same name since the 1970s, but with three different designs. The first incarnation was a short, all-metal job sold in orange or black livery–you can see the orange-tube version I used to own on the left-hand tripod in this photo–that you focused by rotating the barrel, like a camera lens. The second incarnation was a longer, rubber-armored version more obviously intended to be used as a spotting scope, still with the rotating-barrel focusing mechanism. That one seems to have been discontinued just a few years ago in favor of the current version, which is a very attractive near-clone of the 90mm Synta Maks sold by Orion and SkyWatcher, with a more typical focusing knob at the back. There are differences among the models but they are mostly cosmetic, and the optics for all three brands are made by Synta. This latest version is the one currently on sale at Amazon. I’ve been watching it for a while and prices have been all over the map, from a low around $140 to a high around $200. For reference, Orion’s StarMax 90 TableTop has an undiscounted retail price of $200 ($210 shipped) so for the sake of this post I’ll define a good deal as anything under $200. As of this writing the C90 is going for $172 with free shipping, which is a steal. UPDATE: OPT has this scope for $179.95 with free shipping right now (Feb. 26, 2012), so if Amazon is out or the price has gone up, check OPT. I’ve bought three scopes from OPT and the customer service has been outstanding, so I’m always happy to send them business. 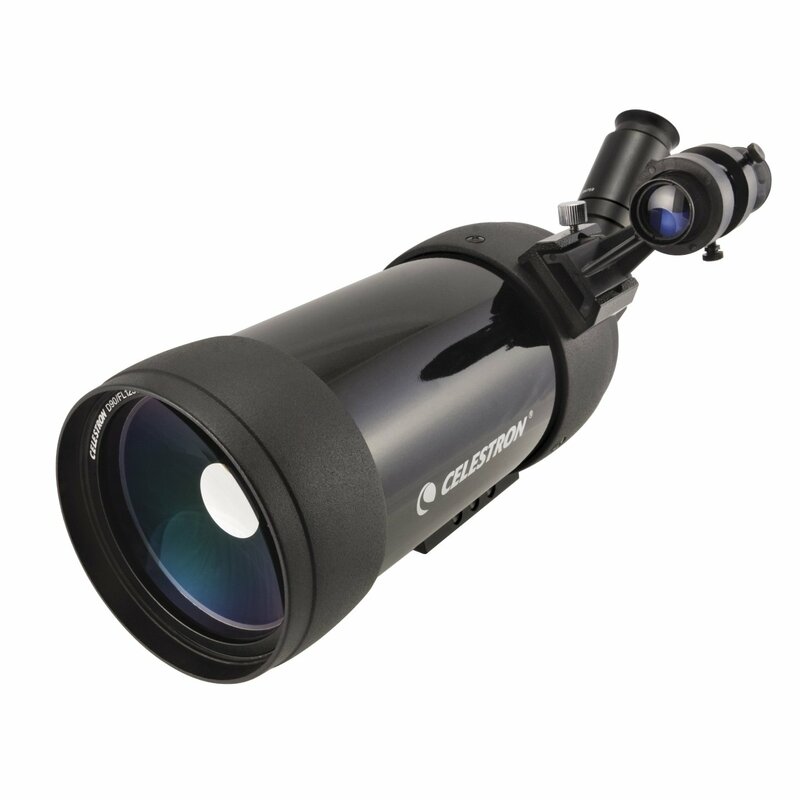 I know the scope is also on sale at other places around the web, but so far I haven’t found any deals as good as Amazon and OPT have on this scope–please let me know if you find a better one! 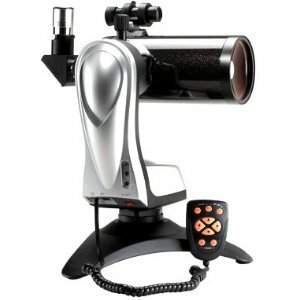 Most importantly, the C90 has gotten very good reviews, both at Ed Ting’s telescope review site and on Cloudy Nights. 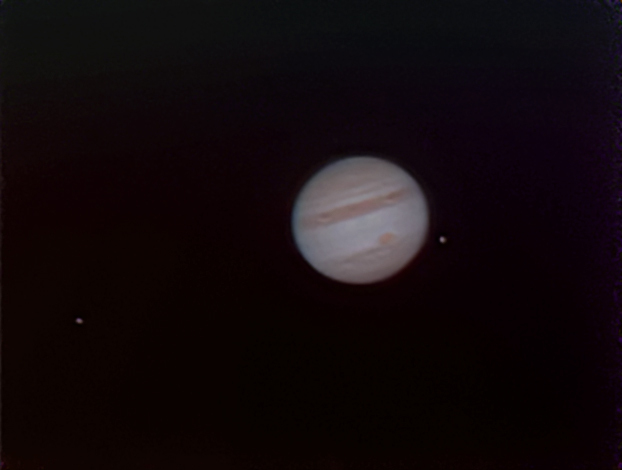 Some of the photos of Jupiter taken with these scopes are just astonishing–see this and this (NB: I think both of these are not single exposures but stacks of multiple frames, which brings out more detail). The other crazy good deal right now is the Sky Watcher 90 mm Backpacker , which is the same tube as Orion’s Apex/StarMax 90 on a tabletop tracking mount. The mount can be put on top of a tripod to function as an alt-az head, just like the unmotorized mount on Orion’s StarMax 90 Tabletop, or you can pull the tube off and put it on the mount of your choice. The SkyWatcher package is apparently on closeout. 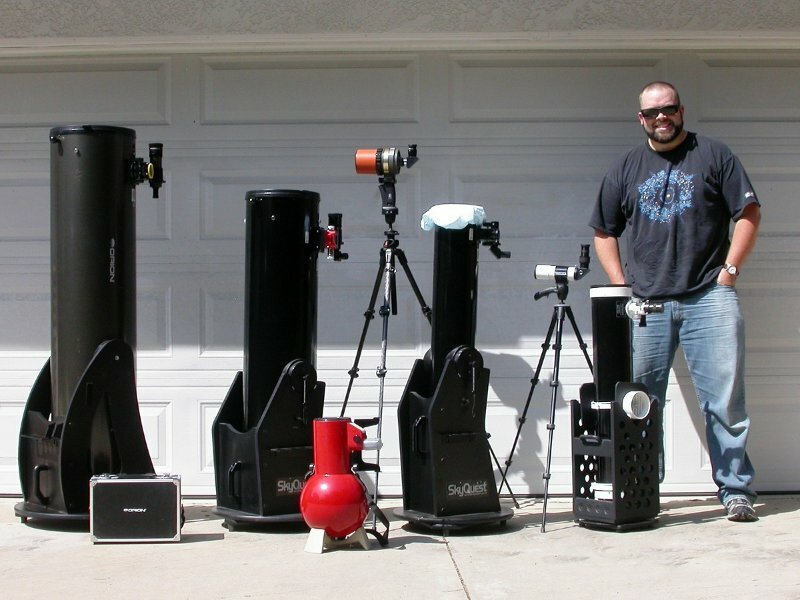 At least here in the States, SkyWatcher has been absorbed by Celestron (both are owned by Synta, who makes the gear) and the SkyWatcher-branded stuff is being phased out (as I predicted a couple of years ago). So this package might not be around for long. Right now it’s $179 plus $20 shipping, so for slightly less than the StarMax 90 Tabletop you get the same tube and a similar tabletop alt-az mount, only motorized and with tracking (not GoTo; the mount won’t find things in the sky for you, but if properly leveled and aligned it will track things once you find them), and 3 eyepieces instead of 2. There’s one more scope I should mention: the Backpacker 80R has the same tracking mount with a wide-field 80mm refractor instead of a 90mm Mak. It’s a little lighter and a little cheaper at $155 plus $15 shipping. The refractor tube appears to be the same as Orion’s GoScope 80 , which has gotten good reviews both on Amazon and at Sky & Telescope. Be aware of the significant design and performance differences between the 80mm refractor, which is specialized for low-power, wide-field views, and the 90mm Mak, which has a narrower field of view but much more capacity for magnification, especially on bright targets like the moon and planets. Which of these scopes would I choose? Well, I ordered a SkyWatcher 90mm Backpacker earlier today, so there’s your answer. I’ll let you know how it works out. UPDATE: see these subsequent posts for the unboxing, first light, and some additional observations. What if you read this post after all these deals are gone? 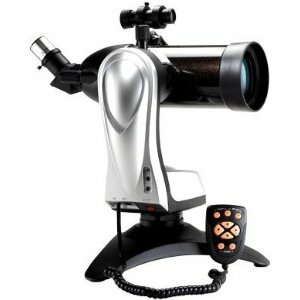 Get one of the Orion tabletop scopes–the GoScope 80 (80mm refractor, $110 right now), SkyScanner 100 (100mm reflector, $110 right now), or StarMax 90 TableTop (90mm Mak, $200 right now). They’ve all gotten good reviews, the Mak isn’t that much more expensive than either of the Maks featured above, and the refractor is significantly cheaper (but lacks the tracking mount of the 80R). One last thing: if you get a C90, don’t just slap it on a cheap photo tripod. It’s too heavy, and at the relatively high magnifications the scope’s long focal length delivers, the shakes will drive you crazy. Trust me, I hated my first Mak until I got a decent mount and tripod for it. You’ll need something like the Orion VersaGo II, Astro-Tech Voyager, Vixen Mini-Porta, or one of the nicer Bogen/Manfrotto units at a minimum, and these can easily set you back as much as the scope did in the first place. If you’ve already got a cheap tripod and two hundred bucks to spend, I’d go with the SkyWatcher unit or the StarMax 90 Tabletop. With their integrated mounts either one might work on top of your existing tripod, which only has to hold the unit up off the ground, and if it didn’t, you could still use it in tabletop mode while you save for a better tripod or whip up a homebrew (like this one). Thanks to the folks in the Cats & Casses forum at Cloudy Nights for bringing these deals to my attention, and for the astrophoto links used above. The CN thread on these deals is here. You are currently browsing the 10 Minute Astronomy blog archives for the day Thursday, February 23rd, 2012.